The #1 goal of this podcast is to help you turn your sales career into a sales paradise. Even though we’re fans of so many other podcasts, we wanted a podcast to focus more on the “overall career” of sales. It would need valuable information that included “academic” training for sure, but also teaching us about the different industries, sales cycles, inside or outside, and even management. So, the question is: are you really enjoying and maximizing your sales career as much as you could? Regardless of how much money you currently make (which you will learn to make more), or how high up on the ladder you’ve climbed – this podcast and our guests will help you make the most of your entire career and turn it into a paradise. What do we mean by turning your sales CAREER into a sales PARADISE? It is not JUST closing more deals. Yes, getting more sales is a very important facet of success – but it’s only ONE PIECE of the entire PIE. Don’t worry, you’ll learn the skills to close more deals. You’ll soon be better than anyone ever thought you could be. That first manager that said you’d never amount to anything – wrong. Here, you will learn from real experts and actual winners. Also, when you close deals, you’ll learn to create partners – not just customers. The world is getting so much smaller – which you’ll learn how to take advantage of this change. You’ll be so awesome at this, the city you live in will probably put on a amazing parade – all in your honor. Efficiency with your time – We believe in working hard, but life is not about constantly working until you drop. We can never underestimate the need for hard work – but – We need to work smarter and become a master of efficiency. For you to truly win in your sales career, it’s crucial to be efficient so you can have a more fulfilling personal life. Sales is a way of life, but don’t get confused and make life all about sales. Maximizing the PERKS. We’ll learn how to maximize all the perks of having a sales career. This is for reps that travel and those that don’t, there are always perks for top performers. So, whether it’s from winning trips, or taking advantage of life out on the road. Reaping the benefits of being a top sales rep is extremely fun. I’ve been to the Bahamas, Puerto Rico, Las Vegas, and Hawaii – all multiple times paid for by my employer. You can make lifelong friends, and maybe even as I did – meet you wife, or husband, while enjoying life in sales paradise. Last but not least, you’ll also learn how to make a sales career FUN. Work, and Life, should be fun. Depending on the guest, the format will typically follow their journey into sales, lessons they’ve learned, then we’ll dig deeper into a subject. At the end, we have the Last Call Lightening Round. This is where I ask the guest a few questions like their favorite book, piece of technology or app, quote, or even charity. We all deserve better than just having a job. I’ve seen when sales reps make strategic changes, sometimes just minor changes, it affects their entire life. Your employer, your family, your friends – they’ll all benefit from you implementing things you learn– but this is for you. This is all about you creating your Sales Paradise. What I consider paradise might not be what you consider paradise. 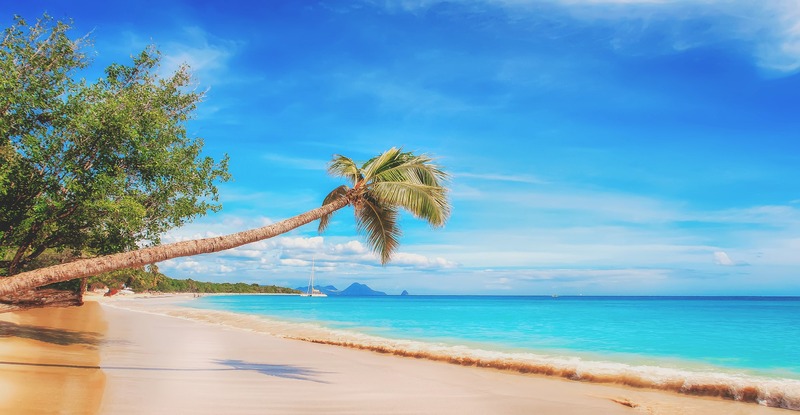 I really hope you enjoy the podcast, and have a lot of fun listening – but most of all, I hope the SALES PARADISE podcast can help you design, and realize, your very own SALES PARADISE.